Get your teens & tweens talking! 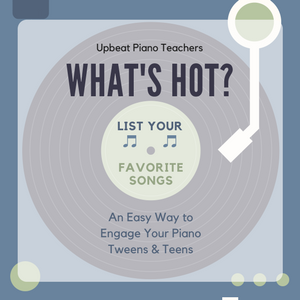 Knowing what music your teens & tweens listen to is half the battle in teaching them successfully! And no worries if you're not a "pop teacher." This is a simple way to get the conversation going! It's all about connecting with your students and building a relationship! Success! Now check your email to download your "What's Hot?" resource!